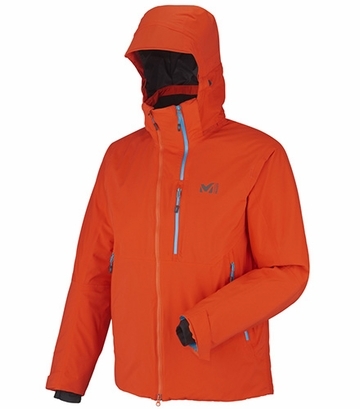 A high-tech design with lots of protection for backcountry adventures, this jacket is built for skiing and snowboarding. Made of a soft, stretch 2-layer Gore-Tex, the curve is insulated with Primaloft Black, keep you warm when it matters most. 2-way opening grave zips venting will allow plenty of heat to escape when opened to its full capacity, or a light draft to slip out when slightly opened, if it is exactly what you need to keep comfort at best.